I am delighted to announce that Olio Taibi has been invited to “As Smooth As… Olive Oil“, a tasting event organized by the Consulates of Greece, Israel and Italy. During this event we will be tasting Olio Novello, the new harvest of Olio Taibi single cultivar organic extra-virgin olive oils “Nocellara” and “BIancolilla”. 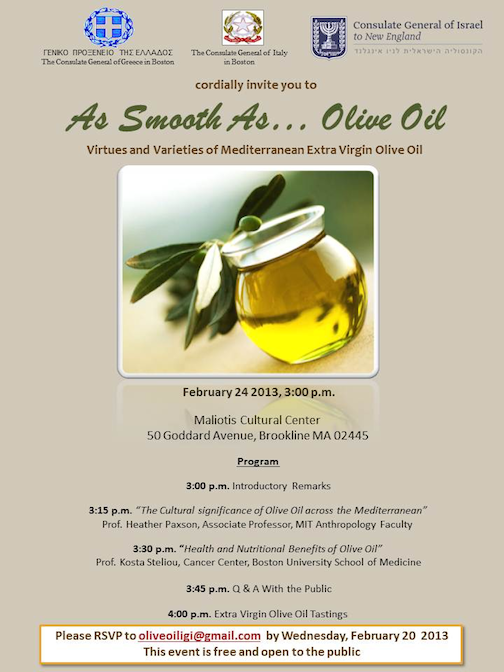 The event is set to start at 3pm on Sunday, February 24, 2013, and will be held at the Maliotis Greek Cultural Center, 50 Goddard Avenue, Brookline, MA [ website | map ]. This is a free event. Please RSVP to oliveoiligi@gmail.com. 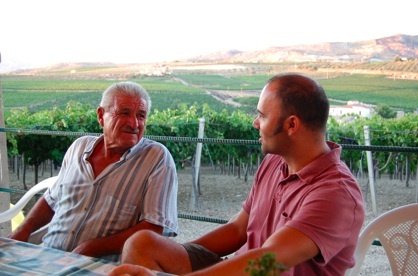 Looking forward to seeing you then and celebrate together the wonderful world of Mediterranean Olive Oil!